Berne CSI: Thanks to forensic experts from Switzerland, imaging processes are used at autopsy more and more. Virtual Autopsy is the magic word, with CT scans and computers instead of bone saws. The scalpel is still however a long way from disappearing in the dust of time. “If at every grave of a murdered person, who we erroneously believe to have died a natural death, a candle would burn, every cemetery would be brightly lit up at night”: Drastic words from Horst Herold, former head of the German Federal Criminal Police Office. The situation right now is not much better – each year approximately 860,000 people die in Germany, but few of them end up on the table of forensic surgeons, mainly on account of cost factors. Medico-legal autopsies are required by the (German) Code of Criminal Procedure to be carried out by two doctors, which includes a court physician or director of a similar institution. After inspection of the exterior of the body they take a close inspection of the belly, chest and cranial cavity, followed by further toxicological, pathological and molecular biological tests. Staff however is expensive, many institutions have closed over time or have been merged. And carelessly issued death certificates also do not exactly help in the detection of violent crime which may potentially be involved. A rapid screening with imaging techniques could at least deliver preliminary indications of unnatural causes of death. There is a lot more which supports the idea as well: If the body is ultimately released for burial, and possibly even cremated, all pieces of potential evidence are lost forever. However, data can be analysed years later, from a completely new perspective, should other suspicions arise or a murder weapon appear. With regard to methods coroners benefit from the experience of working on living patients. 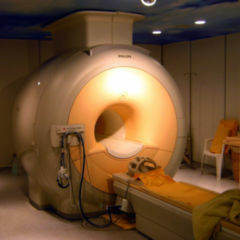 The appropriate methods such as computed tomography (CT) or magnetic resonance imaging (MRI) have been established in human medicine over a long time. Physicians here don’t have the same need to take radiation exposure levels into consideration, and so they work using much higher x-ray doses. Post-mortem multi-layer computer tomography, therefore, provides clear images with excellent resolution, and in the briefest time period. The data can be archived to disk or sent to external experts. Also, family members feel more comfortable if they know that their loved one is not exposed to dissection by the coroner before their burial. One of the pioneers in this area is Prof. Dr. Michael J. Thali. Together with his team at the University of Bern, he developed “Virtopsy”, a synergy of several similar imaging techniques: laser scanners scan the skin pore by pore, overlooking no puncture, no abrasions and no cut. 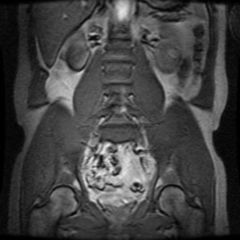 Then the process gets deeper with multi-line CT and MRI. From the varied mass of data, in the end a three-dimensional computer image of the body emerges. Thali has had good experience using Virtopsy with soft tissue injuries such as bites, with which the teeth of potential perpetrators were compared. Material effects of violence such as gunshot or knife wounds can be matched to potential weapons; passages and flight paths of projectiles can also be revealed. Professor Dr. Michael Tsokos and Dr. Lars Oesterhelweg of the Institute of Forensic Medicine at the Charité in Berlin were able to announce groundbreaking success with the use of the new technology: they indicated, in the case of two babies who were thrown out of a window that, on the basis of air in the lungs, they were still alive before their fall. Incriminating evidence for the offenders here: the claim that it was a case of stillbirths was quickly disproved. Air injection in cases of euthanasia also no longer remain secret; these are classical examples which have not always been able to be proven beyond reasonable doubt. Also, forensic scientists identified in one completely shattered skull small traces left by a projectile, and that was after decades. In the virtual autopsy, bones can even tell much more than that: long-healed fractures, caused by abuse, are made visible. Or a traffic accident resulting in death: On the basis of three-dimensional reconstruction of fractures, a coroner was able to prove that a bicyclist had been hit from behind and did not – as a motorist claims – turn out of a sidestreet and, in violation of traffic rules, straight onto the main road. 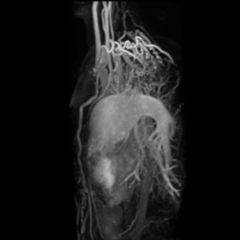 When it comes to better illustrating fine structures like blood vessels, physicians use a trick: If the decay is still not at a very advanced stage, they employ heart-lung machines in order to pump contrast medium into the dead body, and detailed angiography are the rewards of the effort. In addition to purely scientific gains, colleagues also benefit where ethical aspects are involved: such as in cases where corpses which have not been seized by the state prosecution are prohibited from being opened by members of the dead person’s family. Also, more and more institutes are moving over to routine examinations of the deceased person as part of a course of quality assurance, in order to exclude potential medical errors. Nevertheless the virtual autopsy techniques do not by any means make the established techniques superfluous: such is the outcome of a study at the John Radcliffe Hospital, Oxford, UK. Colleagues under Ian SD Roberts compared the accuracy of the post mortem CT and MRI with conventional autopsy. 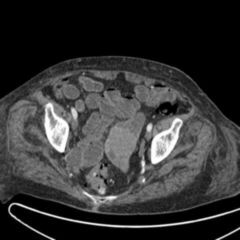 The team studied 182 cases for this purpose – and documented quite a number of errors: 32 percent for CT and 43 percent for MRI. These were mainly made up of ischemic heart disease, pulmonary embolisms, pneumonia and lesions in the abdomen, which had all been overlooked . Also, radiologists were in 42 percent (for MRI) and 34 percent (for CT) of cases certain that pulling out the scalpel would be unnecessary – in the subsequent autopsy though, a further 21 percent (MRI) and 16 percent (CT) turned up significantly differentiated conclusions from the previously supposed cause of death. The conclusion: Ian SD Roberts gives his stamp of approval to the undoubtedly great potential of virtual methods, but also sees need for significant improvement. This is reflected in the German practice that imaging findings are currently usable before the court only alongside an autopsy. When data derived from digital crime scene reconstructions come into the picture, judges, magistrates and prosecutors have more vivid evidence in a trial than they ever could have from written records alone. Scientists are now working on the further optimisation of these technologies. With the help of MRI already today, decay products from various degradation processes can be detected – which is important for the most accurate determination of time of death. Beyond this, projects are underway in the style of the U.S. “Body Farm”: in 1971 decay experiments began there involving macroscopic evaluation under varying conditions; coroners are now trying to fully reconstruct the events by CT. How do organs change – and what effects do decay gases or liquids have in the investigation? The outcome, as to whether or when the virtual autopsy will supplant traditional methods, ultimately depends on the data which emerges here.